Zeinab’s research focuses on understanding how dietary patterns are associated with metabolic syndrome and chronic diseases. Zeinab Hosseini recently defended her PhD in Nutrition, co-supervised by Drs. Vatanparast and Whiting. She received her MSc from Lund University in Sweden. During her studies, she assisted in graduate nutrition courses and mentored graduate students in data analysis. 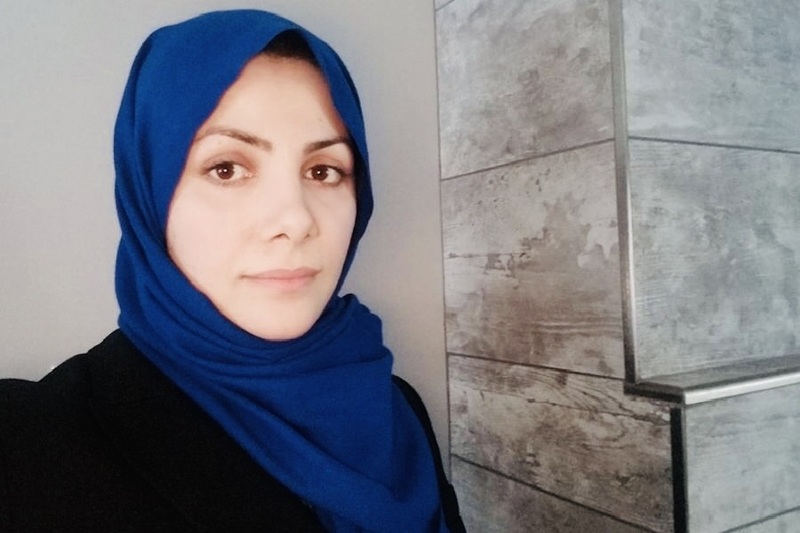 Using complex health survey data, Zeinab’s research focuses on understanding how dietary patterns are associated with metabolic syndrome and chronic diseases, including diabetes and cardiovascular disease. Zeinab received many awards and scholarships during her PhD studies, including a Saskatchewan Innovation & Opportunity Scholarship, Incentive/Shared Funding Graduate Student Scholarship, Elizabeth Helen McLeod Scholarship, International Diabetes Federation Travel Award, College of Pharmacy and Nutrition Travel Award, and the Dairy Research Cluster Initiative scholarship. She is currently working on disseminating her research while collaborating on other research projects on campus, and exploring career opportunities. Hosseini Zeinab, Rostami Mehdi, Whiting Susan, Vatanparast Hassan. “Fast food” dietary pattern increases the risk of metabolic syndrome among Canadians older adults regardless of body mass index, Canadian Health Measures Survey 2007-11”. Under review. Hosseini Zeinab, Whiting Susan, Vatanparast Hassan (2019). “The prevalence of type 2 diabetes among Canadian adults and association with their socio-demographic factors and dietary habits using nationally representative Canadian Health Measures Survey Data”. Applied Physiology, Nutrition and Metabolism. Hosseini Zeinab, Whiting, Susan J., and Vatanparast, Hassan (2016). "Current evidence on the association of the metabolic syndrome and dietary patterns in a global perspective. Nutrition Research Reviews, 2016: 1-11. Hosseini Zeinab, Mehdi Rostami, Whiting Susan, Vatanparast Hassan. Dietary pattern of Canadian older adults in association with the metabolic syndrome using Canadian Health Measures Survey Cycles 1 and 2, 2007-11. Saskatchewan Epidemiology Association Conference, 3-4 Nov 2017. Regina, Canada. Hosseini Zeinab, Mehdi Rostami, Whiting Susan, Vatanparast Hassan. The association between dietary pattern and metabolic syndrome among Canadian adults using national data. Canadian Research Data Center National Conference, 31 Nov and 1 Dec. 2016. Saskatoon, Canada. First Place Poster Presentation Award. Hosseini Zeinab, Whiting Susan, Vatanparast Hassan. “Undetected diabetes and pre-diabetic status among Canadian adults and their dietary status compared to those with diagnosed diabetes”. Canadian Nutrition Society 2015 Annual Conference May 29th- 30th, 2015, Winnipeg, Manitoba, Canada. International Diabetes Congress, 30 Nov-4th Dec 2015, Vancouver, Canada, “Pre-diabetes and undetected diabetes among adult Canadians: public health concern”. Oral poster presentation and discussion.